Manchester United To Rival Arsenal For Ante Rebic. Arsenal and their Premier League rivals Manchester United are set to battle for Croatia’s playmaker Ante Rebic this summer. The 24-year-old playmaker is in fine form for his country at the World Cup currently ongoing in Russia and his performances has endeared him to some top guns in European football including Arsenal and Manchester United. Tottenham had earlier tabled an offer for his signature last month, according to the same source. They are now joined by the Gunners and the Red Devils in a three-horse race for his signature. Some speculations are also claiming that Serie A side Napoli are interested in him, while, Bayern Munich are also looking at the prospect of capturing his signature ahead of other interested suitors. The 24-year-old midfielder was at Frankfurt on a loan deal from earlier Fiorentina during the two previous seasons. He was awesome for the Bundesliga side throughout last season in which he scored nine goals and three assists, despite playing just 28 matches in all competitions. Though Frankfurt are willing to sign him up on a permanent basis this summer, he might ignore their offer as he prefers to join a Premier League club this summer. According to German publication Sportbild, Croatia assistant manager Ivica Olic wants to see the midfielder’s switch to Allianz Arena this summer. Arsenal goalkeeper Bernd Leno has revealed that there’s no apology needed from Gunners teammates Shkrodan Mustafi after his poor display against fellow London club Crystal Palace at the weekend. Mustafi had a stinker as Arsenal were surprisingly beaten at home by the Eagles in their Premier League clash at the Emirates Stadium. Bernd Leno spoke to Goal reporters about his Arsenal teammate as he revealed that German international Mustafi doesn’t need to apologize for his mistakes against the Eagles on Sunday. The German shot-stopper went on to say that the Arsenal dressing room was quiet after the stunning defeat to Crystal Palace before revealing that Gunners boss Unai Emery was quick to lift the players by shifting their focus to the next battle, the away league game at Wolves. Shkrodan Mustafi and Bernd Leno are international teammates with the German national team but the two players had a little clash after the second goal scored by Wilfried Zaha. Mesut Ozil had canceled out the first half Crystal Palace lead from Christian Benteke at that stage. Mustafi was culpable in the second Palace goal scored by Zaha before James McArthur added a third goal for the visitors. Pierre-Emerick Aubameyang pulled one back for the Gunners but it was too little too late for the hosts who fell to a first defeat at the Emirates Stadium since August. Three-time Premier League winners Arsenal face threat from the top flight of English football in their quest to sign Crystal Palace winger Wilfried Zaha this summer. This is according to a publication from the Daily Star. 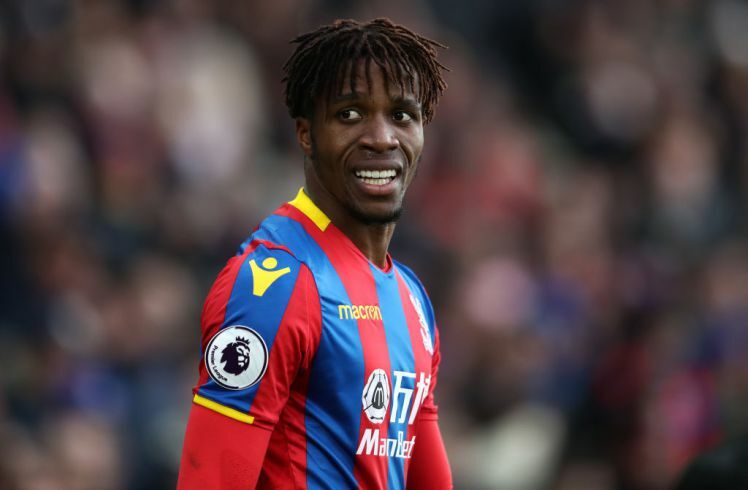 It was revealed that Arsenal, North London rivals Tottenham Hotspur and Manchester United are all interested in a move for the aforementioned Zaha. Crystal Palace want £75m for their prized asset but the interested clubs are not willing to pay that much for him. In his recent interview this month, Zaha revealed that he wants to play Champions League football again. The Ivorian international player was on the payroll of Premier League giants Manchester United before he returned to Crystal Palace permanently in 2015. Zaha signed for Manchester United from Crystal Palace in January 2013 in a transfer that was the last one conducted under the managerial era of Sir Alex Ferguson. The Crystal Palace winger struggled to make a positive impact at Manchester United before he returned to Selhurst Park. Arsenal witnessed what Zaha can do first hand during the London Derby clash with Crystal Palace. Zaha was one of the goalscorers as Crystal Palace stunned the Gunners 3-2 at the Emirates Stadium to dent the North London giants’ quest to qualify for Champions League football via a top-four finish in the league. North London giants Arsenal have a fantastic chance to make a big statement as regards finishing in the top-four of the Premier League table this season when they travel to the Midlands to take on Wolverhampton Wanderers. The Gunners would be hoping to bounce back from their surprising defeat at the hands of Crystal Palace who ended their 17-game unbeaten run at home. It was the North Londoners’ first home loss in the Premier League since the opening day defeat to champions Manchester City. Arsenal manager Unai Emery was beaten 2-0 by the Citizens on the opening day of the season in what was the Spanish tactician’s first game in charge of the Gunners. The Crystal Palace defeat has not really hurt Arsenal in the scheme of things for top four on the Premier League table due to the poor results recorded by rivals like Tottenham Hotspur, Chelsea and Manchester United. The Gunners won’t find it easy at Wolves who have been a thorn in the flesh of the top teams this season including Arsenal. However, Wolves have recorded just five points from the last five league games. Both sides played 1-1 in the first meeting between the two sides at the Emirates Stadium earlier this season and a draw is likely to be the outcome at the odds of 3.40 according to SportPesa. A win for Wolves is at the odds of 2.90 while Arsenal are slight favourites at the odds of 2.50 as confirmed by SportPesa. Arsenal manager Unai Emery has reiterated his support for underfire defender Shkrodan Mustafi who has been heavily criticised by fans after the shock home loss to fellow London club Crystal Palace at the weekend. Spanish tactician Emery leapt to the defence of Mustafi again during his pre-match press conference on Tuesday ahead of the all-important Premier League clash at Wolverhampton Wanderers on Wednesday night. Arsenal travel to Wolves hoping to take all the points at stake to boost their top-four hopes. Unai Emery described Mustafi as a very good player while he was speaking with reporters as he cited that the German World Cup winner was the best player in the last league game before the Palace setback at the Emirates Stadium on Sunday evening. Mustafi and Arsenal kept their first away clean sheet of the season in the 1-0 win at Watford last week Monday just before the Palace game at the weekend. Former Valencia defender Mustafi was at fault for some of the goals scored by Crystal Palace as Arsenal lost 3-2 to the Eagles who compounded the Gunners’ tricky quest for a top-four finish. 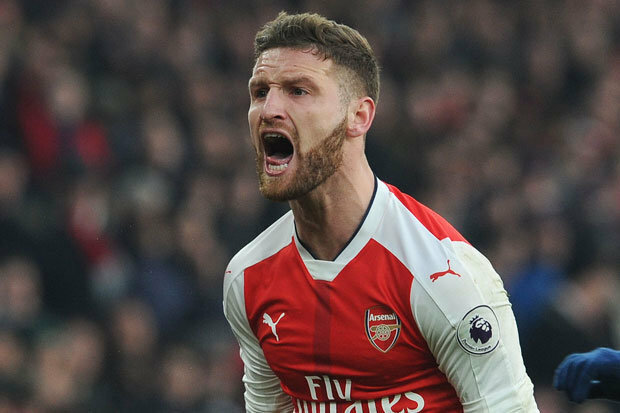 Mustafi faced the wrath of Arsenal fans after the game with some going as far as threatening his family for the player’s mistakes. The immediate past Arsenal manager Arsene Wenger is certain that former Gunners midfielder Patrick Vieira has the required qualities to take charge of the North London club in the future. Wenger talked up Patrick Vieira as the future Arsenal manager in an interview with French media outlet Canal Football Club. The seven-time FA Cup winner has been impressed with the impact of Vieira in management. Patrick Vieira took his first job at Manchester City where he was named as the youth team manager. He then moved to New York City in the Major League Soccer (MLS) before being named the manager of French Ligue 1 side OGC Nice. He has had a very good first season at Nice who are in eighth spot with 48 points after 33 French Ligue 1 games this season. Nice are still in contention for European football for next season with five league games left to play. Patrick Vieira became a legend at Arsenal after he helped the club to three league titles and he was the Gunners skipper as they went unbeaten throughout the 2003/04 season. He left Arsenal for Italian champions Juventus in the summer of 2015 shortly after he helped the Gunners to win the FA Cup at the expense of rivals Manchester United. Former Arsenal midfielder Ray Parlour has revealed that the Gunners need a transfer overhaul ahead of this summer’s transfer window. The Arsenal legend talked about his former club and transfers while he was doing his punditry work with British radio TalkSport. According to him, Manchester United are not the only major Premier League club in need of transfer revamp. Ray Parlour said that Arsenal also need to rebuild their squad when this summer’s transfer window comes calling. Arsenal suffered their first home league defeat of the season since the opening day of this Premier League campaign at the weekend. The Gunners were beaten 3-2 by South London club Crystal Palace and the defeat was significant in the push for a top-four spot at the end of the season. The defeat raised a lot of questions about the strength of the players outside the Arsenal first team. Players like Mohamed ElNeny, Shkrodan Mustafi, Kostantinos Mavropanos and Carl Jenkinson were found wanting during the Crystal Palace game. Crystal Palace striker Christian Benteke gave his team a first half lead before Gunners playmaker Mesut Ozil equalised for the home side very early in the second half. Wilfried Zaha and James McArthur added a second and third goal for the visitors before Pierre-Emerick Aubameyang pulled one back for Arsenal in the last 13 minutes to setup a grandstand finish but Crystal Palace held on for the maximum points. Three Crystal Palace players have been rewarded for their part in the 3-2 drubbing handed out to Arsenal in their Premier League clash at the Emirates Stadium on Sunday evening. Aaron Wan-Bissaka, Scott Dann and Wilfried Zaha were all rewarded with various spots on the team of the week lost for Matchweek 35 in the Premier League. The three players were named on the list compiled by Goal. The three players were instrumental to the Eagles’ away win over Arsenal who are chasing a top-four place on the Premier League table at the end of this season. A top-four spot is the minimum guarantee for Champions League football next season though the Gunners can still secure their target via the Europa League. They have to win the Europa League to seal Champions League football next season. They face a two-legged semifinal clash with Spanish La Liga giants Valencia in the coming weeks. Apart from Wan-Bissaka, Dann and Zaha, two Everton players also made the list after the 4-0 home defeat handed out to Manchester United. Everton players Lucas Digne and Gylfi Sigurdsson were also named on the list. Other recipients include Sergio Rico (Fulham), Conor Coady and Joao Moutinho (Wolverhampton Wanderers), Georginio Wijnaldum (Liverpool), Gerard Deulofeu (Watford) and Ayoze Perez (Newcastle United). Arsenal missed out on the chance to boost their top-four hopes after they were beaten by fellow London club Crystal Palace at home. The Gunners were stunned by the Eagles at home when a win would have taken them as far as third position on the table. Arsenal finished on the wrong side of a five-goal thriller against Crystal Palace as they were beaten 3-2. Crystal Palace striker Christian Benteke ended a 19-game goal drought to give his team a first-half lead against the Gunners. Arsenal should have been given a penalty in the first half but the home players’ protest was incorrectly waved away by centre referee Jon Moss. The hosts were lackadaisical in the first half and Arsenal manager Unai Emery made two changes which worked well in the first few minutes of the second half after Mesut Ozil scored the equaliser for his team. Arsenal were in the ascendancy until centre back Shkrodan Mustafi produced a moment of madness to allow Wilfried Zaha score a second goal for the visitors. James McArthur added a third goal eight minutes later to give Crystal Palace a two-goal cushion. 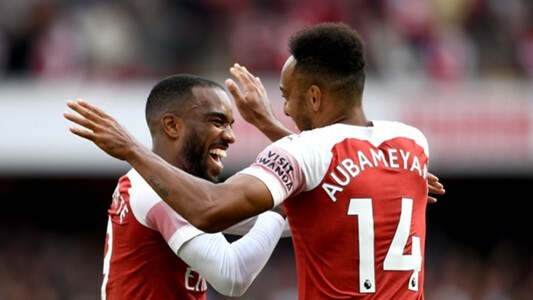 Pierre-Emerick Aubameyang pulled one back for Arsenal in the final ten minutes to setup a grandstand finish but Crystal Palace held on to take on three points to secure Premier League safety while the Gunners’ position in the top-four is under serious threat from London rivals Chelsea who play at home to Burnley on Monday night. Arsenal striker Pierre-Emerick Aubameyang took a major step towards his quest of winning the Golden Boot in the Premier League following his strike in the 3-2 home defeat to fellow London club Crystal Palace. Gabonese international Aubameyang scored one of the goals for the Gunners to take his tally to 19 goals in the Premier League this season. The former Saint Etienne and Borussia Dortmund striker scored the last goal of the game after Crystal Palace had found the back of the net with three of the four goals scored before his strike. The Eagles stunned the Arsenal crowd with a first-half lead courtesy a Christian Benteke header. Belgian international Benteke scored for the first time in 20 games to give his team the lead at the Emirates Stadium. Arsenal had a poor first half but they were much improved after the halftime interval with Mesut Ozil getting the equaliser. The Gunners were the better side at the start of the second half until Arsenal defender Shkrodan Mustafi gifted Crystal Palace and winger Wilfried Zaha a goal out of nothing. James McArthur added a third goal before the strike from Pierre-Emerick Aubameyang reduced the deficit to 2-3 in favour of the visitors. Crystal Palace held on to take a big victory against the North Londoners. Arsenal manager Unai Emery has leapt to the defence of Gunners defender Shkrodan Mustafi after his costly mistake against Crystal Palace in their Premier League clash at the Emirates Stadium on Sunday. Mustafi was at fault for the second Crystal Palace goal as Arsenal fell to a surprising 3-2 defeat at home. In his post-match press conference, Unai Emery was quick to defend his player as he told reporters that Mustafi has been consistent for Arsenal this season. Crystal Palace took a well deserved lead in the first half through a 17th-minute header from striker Christian Benteke who ended a 19-game goalless run as a result. Crystal Palace were fortunate not to concede a first half penalty when Eagles right-back Aaron Wan-Bissaka handled the ball in the box. Arsenal got themselves level after two second half minutes through Mesut Ozil off an assist from Alexandre Lacazette before the big mistake from Mustafi who slipped up for Zaha to give Palace the lead again just after the hour mark. James McArthur scored the third goal for Palace eight minutes later before Pierre-Emerick Aubameyang reduced the deficit to 3-2 to setup a grandstand finish but Crystal Palace held on for three points and also dent the Gunners’ quest to qualify for next season’s Champions League.